Choose your style: thick or thin! 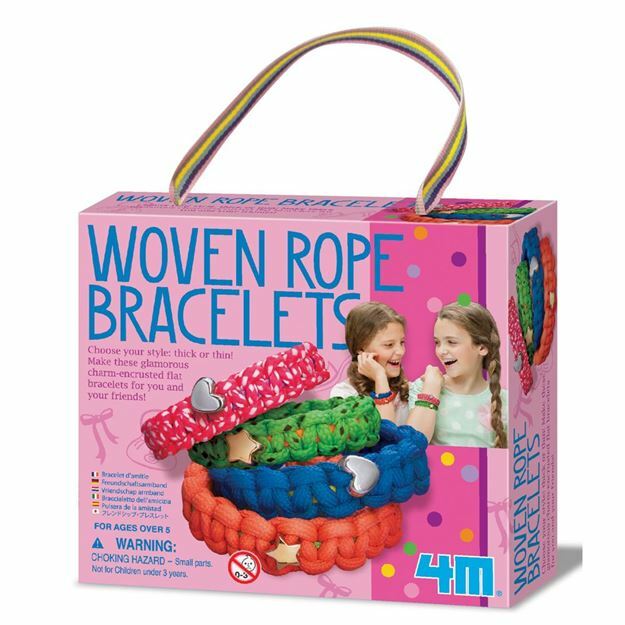 Make these glamorous 4M charm-encrusted woven rope flat bracelets for you and your friends! Age 5+ years. Distributed in New Zealand by Holdson.